Be still, my beating heart. I’ve been this excited before, but I can’t remember when. Some of the greatest games in the history of personal computing are now available on Steam . I’m talking, of course, about Sierra’s King’s Quest and Space Quest collections. This can only mean that additional Sierra games will be made available in the future. Please, please, please, make it so. 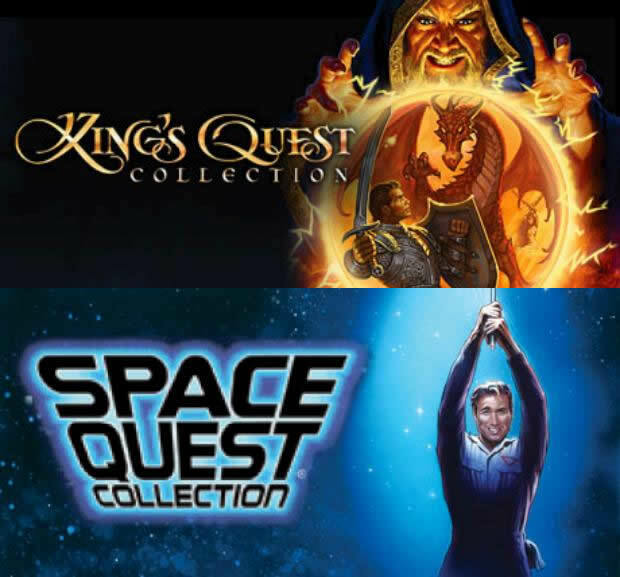 The King’s Quest Collection (7 games) and Space Quest Collection (6 games) are both available for $15 per collection until July 30th. After that, they’ll cost $20 per collection. Both are an instant purchase at either price, if you ask me. Childhood, here I come! Now all I need is my old IBM PC Jr., my Apple ][c before that, some shag carpet in an old Minnesota basement, and a quick trip to Egghead Software to buy those old hint books where you uncover the answers with a magic marker.